The building located at No. 80 in Rua das Estalagens, where the Former Chong Sai Pharmacy established by Dr. Sun Yat-sen, was built before 1892. The building is a typical shophouse. From July 1893 to early 1894, was one of the first pharmacies and clinics recorded in Macao's history with western medical services, operated by Chinese doctor. Afterwards, the house was rented out, handed over and sold several times throughout the years, even being used as a Taoist hall and later used for textile businesses. 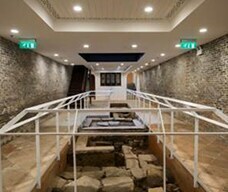 The Government of Macao S.A.R acquired the house in 2011 and carried out restoration and revitalisation works. After its conservation has been completed in 2016, It has become an exhibition space for the public. Currently, exhibitions in commemoration of the 150th anniversary of Dr. Sun Yat-sen’s birth and on the conservation of No. 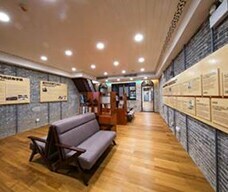 80 are ongoing, the exhibitions cover sections of an archaeological artefacts and traces, renovation techniques of the building and architectural features as well as a section specially dedicated to Dr. Sun Yat-sen and Macao. 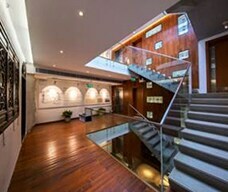 These exhibitions allow visitors to have further understanding of the relationship between Dr. Sun Yat-sen and Macao as well as the characteristics and architectonical features of this traditional shophouse.